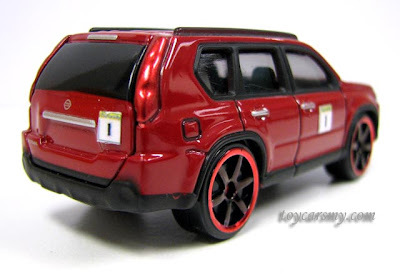 The Tomica X-Trail was my very 1st custom where give me ideas on my later customization works. I have tried all the new tricks before the end results on the actual customs. It suffered many rounds of do and undo, but luck it still in one piece. The custom was appeared once last year, but I have added my autograph for it uniqueness. The reason I use "was" is because it longer with me, I have passed to Elgee who also recognized as Custom King among us. 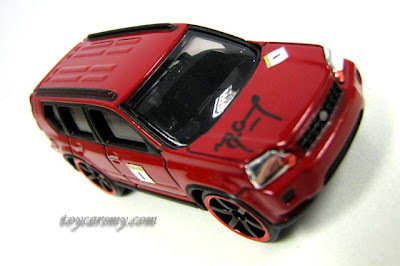 PS: In return, Elgee gave me his Kustom Ridez 2006 Honda Civic, 2005 Mustang GT, Volkswagen Golf GTi and Audi R8. Pictures can be found in his blog. 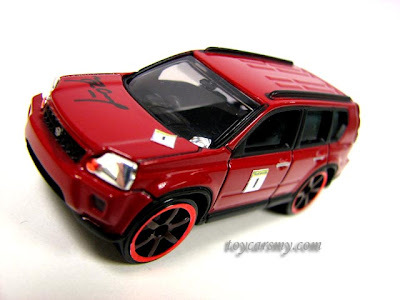 love this X-trail!! simple yet so nice.. !